As a top-notch team of fully-licensed and insured Northern Virginia electrical contractors, we have been putting our customers’ safety and satisfaction first since 1986. “Safety first” is more than just our motto, it is the very foundation of everything we do in our business. Because our business is founded on customer safety and satisfaction, we only install the latest in top quality products and components, with an eye toward the safest, most reliable operation for years to come.We hold all of the Virginia electricians on our team to the highest standards of excellence because our work is only as good as the hands that install it. Each employee must be well qualified and highly trained, and most of our electricians have achieved at least Master or Journeyman level, and they continue striving for excellence at all times. Any non-licensed electricians working under the Root Electric name must go through a rigorous training and apprenticeship program that includes both classroom study and on-the-job training and supervision from our best-qualified Virginia electricians. As professional electrical contractors, we never ask our clients to pull a permit. 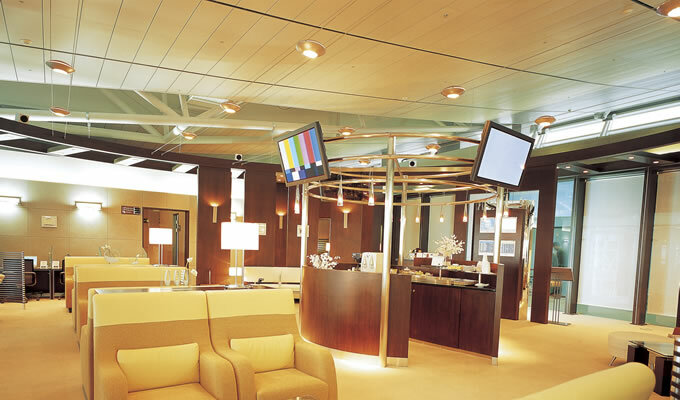 Each of our customers can rest assured that our electrical work is fully licensed and insured. With that in mind, we always strive to maintain the reputation we have built over the last quarter of a century. Our reputation rests on the safety, quality, experience, workmanship and excellent customer service we always strive to provide for each of our customers. In a business world built on promises, isn’t it great to know you can work with an electrician whose founding principal is your safety and satisfaction? 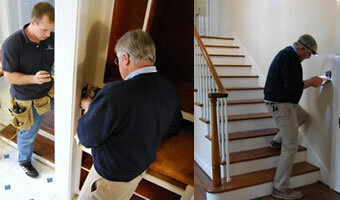 As your Virginia electrical contractors provide a full suite of residential electrician services. From electrical service upgrades (known in the trade as a “heavy up”) to whole house surge protection, lighting all around the house, hot tub and basement electrical, and even installing dedicated outlets for electric cars, we provide homeowners with the safest, highest quality service possible. 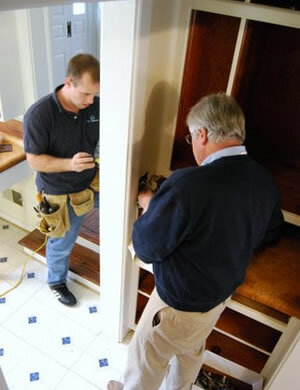 Customer feedback is very important to our whole team of electricians in Northern Virginia. 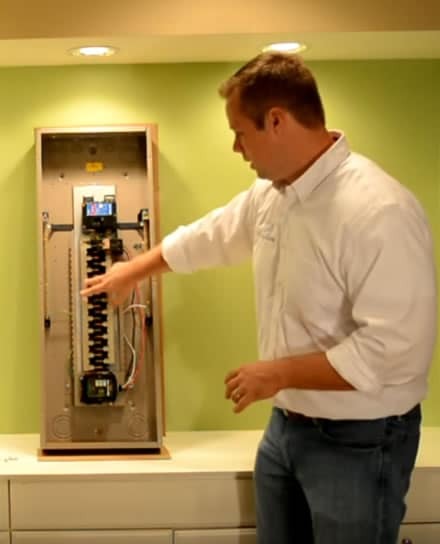 After Root Electric completes an installation, upgrade or repair, we invite our customers tell us how we did and give us suggestions for ways we can improve our level of service in the future. Customers can either tell us directly how we did, or use one of the several customer review outlets online to let us know how we can improve. We love great reviews as they help spread our great reputation, but unsatisfied customer reviews help us improve our business. 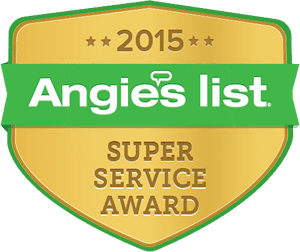 After earning the Angie’s List Super Service Award for several years in a row now, our goal is to make sure each of our customers is a fan after doing business with us! Safety first, customer service always. It was obvious from the start that Bill Root, the owner and founder, and his staff genuinely like what they do. In our original call, Bill tried to walk us through the problem to see if it was something we could handle ourselves. When it was clear that they needed to come out to our Fairfax Station home, they scheduled a visit promptly. The Root Electric team was punctual, very courteous, respectful of the property and efficient. All took the time to explain things. 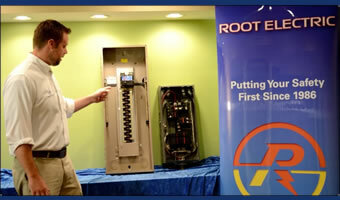 We highly recommend Root Electric for its skill and customer service.